While we may only have a small crew this year at Sea Otter (they are on the road right now), we do have a pretty big announcement: we’re working harder than ever to help people secure their bikes, and we’ve teamed up with lock manufacturer and all around security experts ABUS to kick it up a notch. I personally have been using an ABUS Bordo lock now for years for all my bikes, and I love how ABUS is pushing its bicycle lock designs to be both incredibly secure and easy to carry. (Chicago, IL) April 16th, 2015. In an era of increasing concerns over bike theft, ABUS Mobile Security, LLC and Project 529™ are joining forces to combat the growing epidemic of stolen bicycles. The partnership between ABUS, the world leader in mobile security, and Project 529, a Portland, OR based cycling software start-up is a marriage made of manufacturing innovation and technology with the next wave of online, web-based security and community engagement. Both companies agree that the key first step in bike security is using the proper lock and using it correctly. The understanding that no lock offers 100% protection against a well-equipped thief is the basis for the partnership. Project 529™ and its innovative 529 Garage platform pick up where ABUS’s outstanding locks leave off. 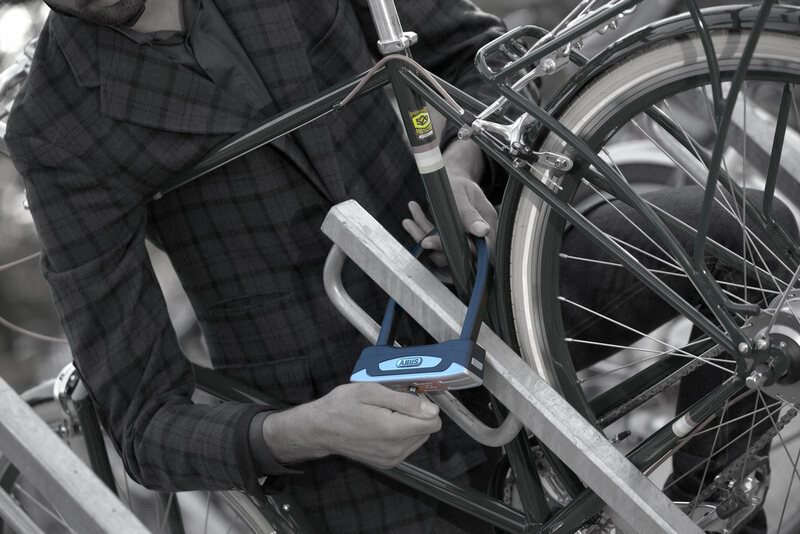 By providing easy bicycle registration and crowdsourced recovery assistance in the event of theft, ABUS and Project 529 provide the most comprehensive bike security package available to cyclists today. Statistics indicate that a bike is stolen every 30 seconds in the United States and fewer than 10% of recovered bicycles are ever returned to their owners. By encouraging the use of high-quality, high security locks and teaching owners how to use them properly the goal is to prevent theft before it happens. In the event it does, the 529 Garage platform is there to aid in recovery. The 529 Garage allows riders to easily and securely register their bikes and provides the capacity to broadcast a “Missing Bike Bulletin” to the 529 community and social networks that includes images and details that will enable cyclists and law enforcement to identify and recover the stolen bike. Additionally, the 529 Garage generates a detailed report that can be provided to the police and the victim’s insurance company to maximize and expedite claims and the ability for law enforcement to check against a national database of missing bikes. The ABUS and Project 529 partnership will launch on the ground in Portland and online nationally this month. This season, a security “bundle” will roll out with select Portland IBDs that will include a high-security ABUS lock and a 529 Garage registration kit. The partnership extends further into cyclist education and new product development efforts. ABUS Mobile Security, LLC is based in Chicago, IL. Named a German Brand of the Century, ABUS has been building locks in their own factories since 1924. Backed by four generations of family knowledge, teams of in-house engineers and tool-makers, ABUS has risen to market leader in Europe by using the highest quality materials, rigorous testing methods and constant innovation in their quest to make the best security products in the world. For more information about ABUS visit http://www.abus.com/eng/Mobile-Security. Founded in 2013, Project 529 is a diverse team of software professionals in Portland, Oregon that believes that technology can enhance the cycling experience. Their first product, the 529 Garage is simplest and most complete bike registration system created to date, having helped secure approximately $15M worth of bikes since its introduction last year. Recently, J Allard was appointed to the newly formed Portland Police Bike Theft Task Force by Portland Chief of Police Larry O’Dea to help attack the growing frustration with bike theft in Portland. For more information or questions, contact media@project529.com.